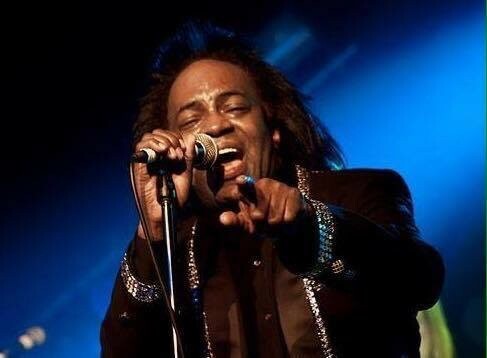 The Regent Theatre in Arlington MA is pleased to present Tony Wilson--better known as "Young James Brown." Tony was personally selected by James Brown himself as his protege / successor because of his unbelievable vocal skills and energetic and original dance moves along with The Godfather Of Soul's signature moves. Tony will be performing on the Courtyard Stage Friday March 15 at 6:00 pm and Saturday March 16 at 12:45 pm. Performing Friday March 15 in Concert, along with performing Karaoke with Fans as part of the AfterParty included in admission. 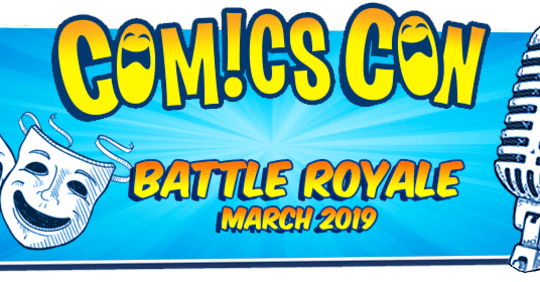 Gigi Edgley Karaoke Experience at NorthEast ComicCon & Collectibles Extravaganza, March 15, 2019, Boxboro MA includes (1) Weekend pass with early access admission, (1) reserved seat for Gigi's Q&A, (1) Selfie Photo Op with Gigi using attendees own camera or phone, (1) laminated pass, (1) VIP admission to Gigi's Friday March 15 Concert AfterParty and Singing (1) Song onstage with Gigi after the Concert during the VIP Karaoke Experience on Friday March 15 between 8:00 and 10:30 pm, limited to 20, No Refunds. Any remaining will be $125 at the door. Performing at the Concert AfterParty Saturday March 16 on the Main Stage in the Courtyard with Gwello and Tsunami of Sound included in admission. 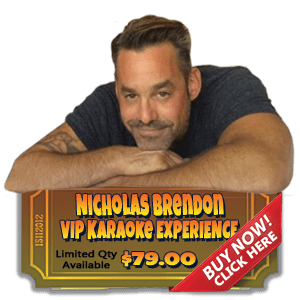 Nicholas Brendon Karaoke Experience at NorthEast ComicCon & Collectibles Extravaganza, March 15-17, 2019, Boxboro MA includes (1) Weekend pass with early access admission, (1) Selfie Photo Op with Nick using attendees own camera or phone, (1) Reserved seat at Nick's Karaoke Experience on Saturday March 16 from 9:00 - 11:00 pm, and the opportunity to Sing Karaoke with Nick, limited to 50. No Refunds. Any remaining will be $95 at the door. 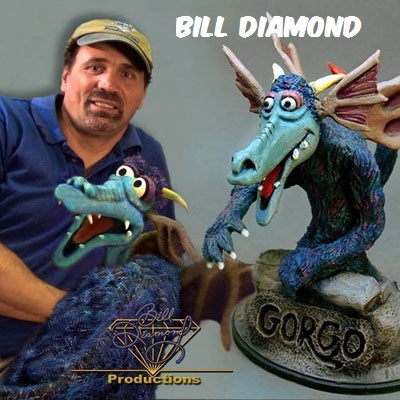 Emmy Award winning artist and puppeteer, Bill Diamond brings a great array of photo op props for all ages, along with Puppets for play and for sale. 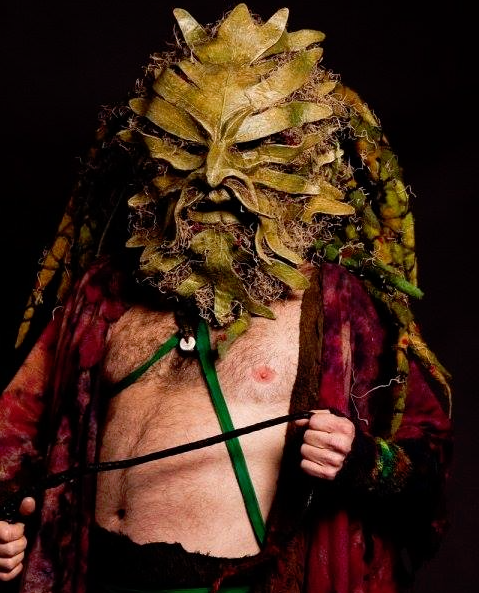 Bill worked on The Dark Crystal, Little Shop of Horrors, Fraggle Rock, Monsters Inc, Farscape and many others. 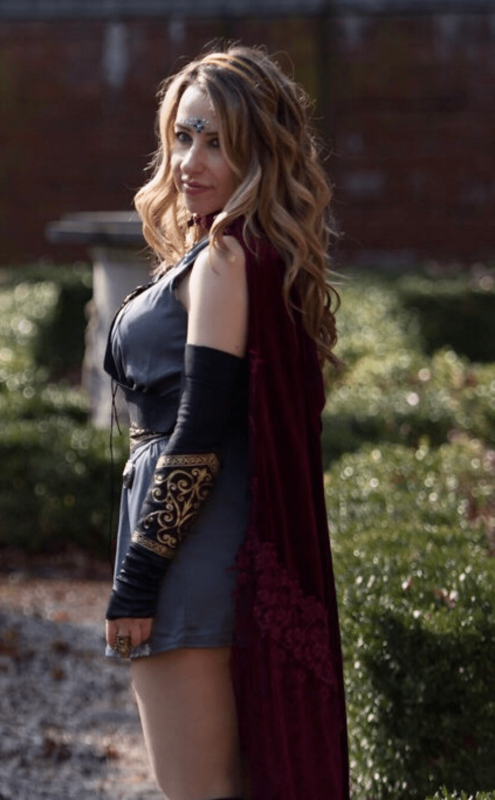 Performing on the Main Stage in the Courtyard at 2:00 PM Saturday and Sunday and in the PUPPET Room with Bill Diamond Productions, meet singer/songwriter/author Tiffany Hulse. Some would agree that the key to happiness is finding a career you enjoy. Although, sometimes, when the moon is high, and the hippies are even higher, your suitable career finds you. Fortunately, Tiffany Hulse—also known for her work under the pseudonym, Tiffer ‘the Riffer’ Folk—was one of the lucky ones. At the impressionable age of nine years old, after attending her first Jimmy Buffett concert, she fixed her mind on the objective of learning how to play the guitar. Fast-forward four years later, to 2007, the year she released her first album, “Sad Day in Paradise”. Since that album release, Tiffany has released a minimum of one album per year. She affirms, “It’s hard work, but someone has to do it. I simply love being involved in music projects. Creating songs out of nothing. I feel I’ll never get enough of that. It’s wild.” Ordinarily, most people finish a project before they start a new one. Tiffany is not ordinary. She admits, “I am constantly knee-deep in projects. At any given time, I believe I have roughly 500 things going on at once. But that’s what I do; that’s what we creative types do. I consider myself a creative survivalist.” She recently finished producing what is her thirteenth album. 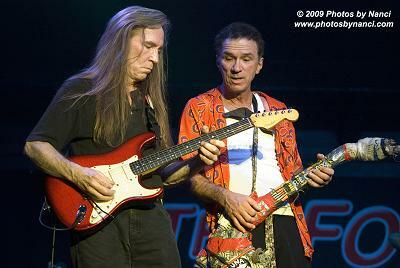 The album, titled, “Unexpected Hero”, was released during the summer of 2018. 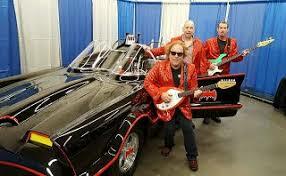 The artwork for this album was designed by comic book artist, Gary Eckerson, from Life's a Beach Comics. Tiffany’s music can be purchased from iTunes, Amazon MP3, and Google Play. 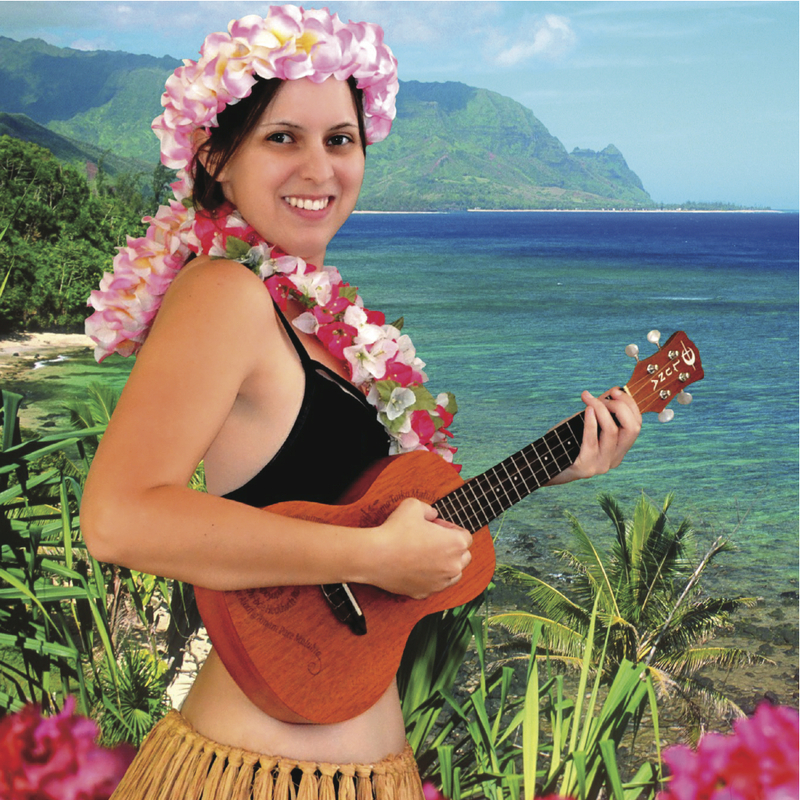 Her music can be listened to on Spotify, on the online radio stations SongwritersIsland.com and TikiIslandRadio.com, and on Cleveland, Ohio’s WBWC 88.3fm The Sting’s “Island Time” show. 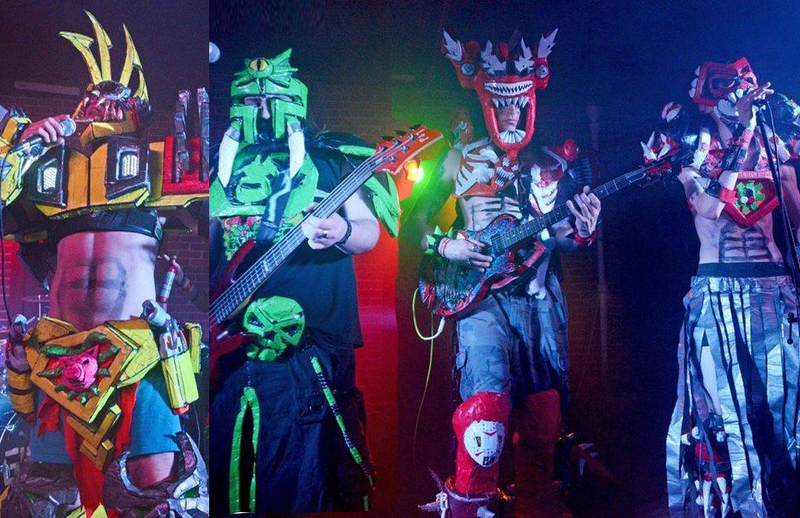 Appearing at the Concert After Party Saturday March 16 at 8:00 pm with The Fools and Tsunami of Sound included in general admission.